For enhanced safety, the front and rear seat shoulder belts of the Mercedes C-Class Sedan have pretensioners to tighten the seatbelts and eliminate dangerous slack in the event of a collision and force limiters to limit the pressure the belts will exert on the passengers. The Infiniti G Sedan doesn’t offer pretensioners for the rear seat belts. For enhanced safety, the front and rear seat shoulder belts of the Mercedes C-Class Sedan are height-adjustable to accommodate a wide variety of driver and passenger heights. A better fit can prevent injuries and the increased comfort also encourages passengers to buckle up. The Infiniti G Sedan has only front height-adjustable seat belts. The C-Class Sedan offers optional PRE-SAFE Brake, which use forward mounted sensors to warn the driver of a possible collision ahead. If the driver doesn’t react and the system determines a collision is imminent, it automatically applies the brakes at full-force in order to reduce the force of the crash or avoid it altogether. The G Sedan doesn't offer collision warning or crash mitigation brakes. The Mercedes C-Class Sedan has Daytime Running Lights to help keep it more visible under all conditions. Canadian government studies show that driving with lights during the day reduces accidents by 11% by making vehicles more conspicuous. The G Sedan doesn’t offer Daytime Running Lights. The C-Class Sedan’s optional lane departure warning system alerts a temporarily inattentive driver when the vehicle begins to leave its lane and gently nudges the vehicle back towards its lane. The G Sedan doesn’t offer a lane departure warning system. The C-Class Sedan offers optional Parktronic™ to help warn the driver about vehicles, pedestrians or other obstacles behind or in front of their vehicle. The G Sedan doesn’t offer a front parking aid. The C-Class Sedan’s optional blind spot warning system uses digital cameras monitored by computer to alert the driver to moving objects in the vehicle’s blind spots where the side view mirrors don’t reveal them and moves the vehicle back into its lane. The G Sedan doesn’t offer a system to reveal objects in the driver’s blind spots. The C-Class Sedan’s driver alert monitor detects an inattentive driver then sounds a warning and suggests a break. According to the NHTSA, drivers who fall asleep cause about 100,000 crashes and 1500 deaths a year. The G Sedan doesn’t offer a driver alert monitor. Compared to metal, the C-Class Sedan’s plastic fuel tank can withstand harder, more intrusive impacts without leaking; this decreases the possibility of fire. The Infiniti G Sedan has a metal gas tank. The C-Class Sedan has standard mbrace, which uses a global positioning satellite (GPS) receiver and a cellular system to get turn-by-turn driving directions, remotely unlock your doors if you lock your keys in, help track down your vehicle if it’s stolen or send emergency personnel to the scene if any airbags deploy. The G Sedan doesn’t offer a GPS response system, only a navigation computer with no live response for emergencies, so if you’re involved in an accident and you’re incapacitated help may not come as quickly. Both the C-Class Sedan and the G Sedan have standard driver and passenger frontal airbags, front side-impact airbags, side-impact head airbags, height-adjustable front shoulder belts, traction control and electronic stability systems to prevent skidding. In heavy traffic or at stoplights the C300/C350 Sedan’s engine automatically turns off when the vehicle is stopped, saving fuel and reducing pollution. The engine is automatically restarted when the driver gets ready to move again. (Start/Stop isn’t accounted in present EPA fuel mileage tests.) The G Sedan doesn’t offer an automatic engine start/stop system. The C-Class Sedan Luxury’s standard tires provide better handling because they have a lower 45 series profile (height to width ratio) that provides a stiffer sidewall than the G Sedan’s standard 55 series tires. The C-Class Sedan’s optional 225/40R18 front and 255/35R18 rear tires have a lower 40 series front and 35 series rear profile than the G Sedan’s optional 50 series front and 45 series rear tires. The C-Class Sedan has standard front and rear gas-charged shocks for better control over choppy roads. The G Sedan’s suspension doesn’t offer gas-charged shocks. The C-Class Sedan has a standard continuously variable suspension system. Using sensors on steering angle, speed and other driver inputs, the shocks soften to improve ride, or stiffen when appropriate to aid handling on tricky roads. The G Sedan’s suspension doesn’t offer adjustable shock absorbers. The C250 Sedan handles at .90 G’s, while the G37 Sport Sedan pulls only .84 G’s of cornering force in a Car and Driver skidpad test. The C250 Sedan goes through Road & Track’s slalom 3.6 MPH faster than the G37 Sport Sedan (69.1 vs. 65.5 MPH). For better maneuverability, the C-Class Sedan’s turning circle is .1 feet tighter than the G Sedan’s (35.3 feet vs. 35.4 feet). The C-Class Sedan’s turning circle is 1.4 feet tighter than the G37 AWD w/18"wheels’ (35.3 feet vs. 36.7 feet). The C-Class Sedan is 7.1 inches shorter than the G Sedan, making the C-Class Sedan easier to handle, maneuver and park in tight spaces. The design of the Mercedes C-Class Sedan amounts to more than styling. The C-Class Sedan has an aerodynamic coefficient of drag of .27 Cd. That is lower than the G Sedan (.29) and many sports cars. A more efficient exterior helps keep the interior quieter and helps the C-Class Sedan get better fuel mileage. A low lift-over trunk design makes loading and unloading the C-Class Sedan easier. The C-Class Sedan’s trunk lift-over height is 26.4 inches, while the G Sedan’s liftover is 29 inches. The C-Class Sedan’s standard rear seats fold to accommodate long and bulky cargo. The G Sedan doesn’t offer folding rear seats, only a ski pass-through. Unlike the driver-only memory system optional in the G Sedan, the C-Class Sedan offers an optional driver and passenger memory, so that when drivers switch, the memory setting adjusts the driver’s seat, steering wheel position and outside mirror angle and the front passenger seat also adjusts to the new passenger’s preset preferences. The power windows standard on both the C-Class Sedan and the G Sedan have locks to prevent small children from operating them. When the lock on the C-Class Sedan is engaged the driver can still operate all of the windows, for instance to close one opened by a child. The G Sedan prevents the driver from operating the other windows just as it does the other passengers. The C-Class Sedan’s rain-sensitive wipers adjust their speed and turn on and off automatically based on the amount of rainfall on the windshield. This allows the driver to concentrate on driving without constantly adjusting the wipers. The G Sedan’s standard intermittent wipers change speed with vehicle speed, but can’t turn on and off or change speed based on changing rainfall. In poor weather, headlights can lose their effectiveness as grime builds up on their lenses. This can reduce visibility without the driver realizing. The C-Class Sedan offers available headlight washers to keep headlight output high. The G Sedan doesn’t offer headlight washers. While driving with high beams on, sensitive light sensors available for the C-Class Sedan detect other vehicles which could be blinded and automatically switch to low beams. The G Sedan doesn’t offer automatic dimming high beams. To help drivers avoid possible obstacles, the C-Class Sedan offers optional cornering lights to illuminate around corners when the turn signals are activated. The G Sedan doesn’t offer cornering lights. The C-Class Sedan also offers optional adaptive headlights to illuminate around corners automatically by reading vehicle speed and steering wheel angle. A power rear sunshade is optional in the C-Class Sedan to help block heat and glare for the rear passengers. The G Sedan doesn’t offer a rear sunshade. The C-Class Sedan has standard automatic dimming rear and side view mirrors which automatically darken quickly when headlights shine on them, keeping following vehicles from blinding or distracting the driver. The G Sedan has an automatic rear view mirror, but its side mirrors don’t dim. Both the C-Class Sedan and the G Sedan offer rear vents. For greater rear passenger comfort, the C-Class Sedan has standard rear air conditioning vents to keep rear occupants cool in summer or warm in winter. The G Sedan doesn’t offer rear air conditioning vents, only heat vents. Optional Mercedes-Benz Apps for the C-Class Sedan allows the driver and passengers access to select programs on their smartphones, including finding fuel prices at nearby service stations, searching the internet and other connected activities without taking their eyes off the road or their hands from the wheel. The G Sedan doesn’t offer factory integrated smartphone program access. According to The Car Book by Jack Gillis, the C-Class Sedan is less expensive to operate than the G Sedan because typical repairs cost much less on the C-Class Sedan than the G Sedan, including $83 less for fuel injection, $517 less for a timing belt/chain and $755 less for a power steering pump. 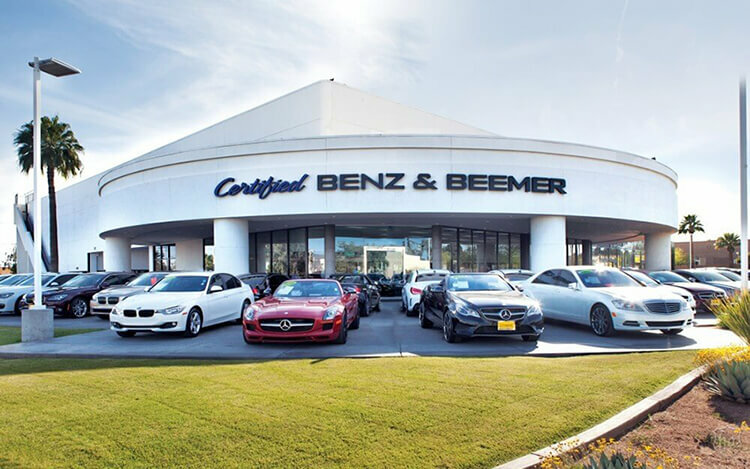 Both are recommended, but Consumer Reports® chose the Mercedes C-Class Sedan as its “Top Pick,” the highest scoring vehicle in its category, based on reliability, safety and performance. The Mercedes C-Class outsold the Infiniti G by over two to one during 2013.